Praised by William Stafford, W.S. 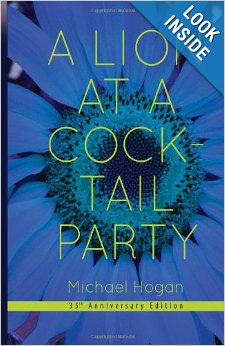 Merwin, Richard Shelton and others, this collection of prose poems by Michael Hogan is now in its third revised edition. The original was published by Mary McCarthy of Gallimaufry press in 1978 and was a collection of prose pieces edited by George Hitchcock (1914-2010). Many had appeared in Hitchcock’s magazine Kayak (1968-1988) which published Raymond Carver, Charles Simic, Robert Bly, Kenneth Rexroth, Margaret Atwood and others. Hitchcock especially enjoyed Hogan’s prose poems for their "surrealistic imagery on the one hand, and their fabulist simplicity on the other." This special 35th Anniversary Edition includes nine previously uncollected prose pieces.